Healthy holidays — designed to help you unplug, recharge, and return healthier — are growing in popularity. Here's how to plan your restorative journey. Think back to your last vacation. Was it a peaceful disconnect from the stresses of everyday life? Or was it packed full of activities that left you telling co-workers you needed a vacation from your vacation? If your answer falls into the peaceful category, you’re part of a growing trend for vacationgoers. Healthy holidays are explicitly designed to help you unplug, recharge, and return healthier than when you left. 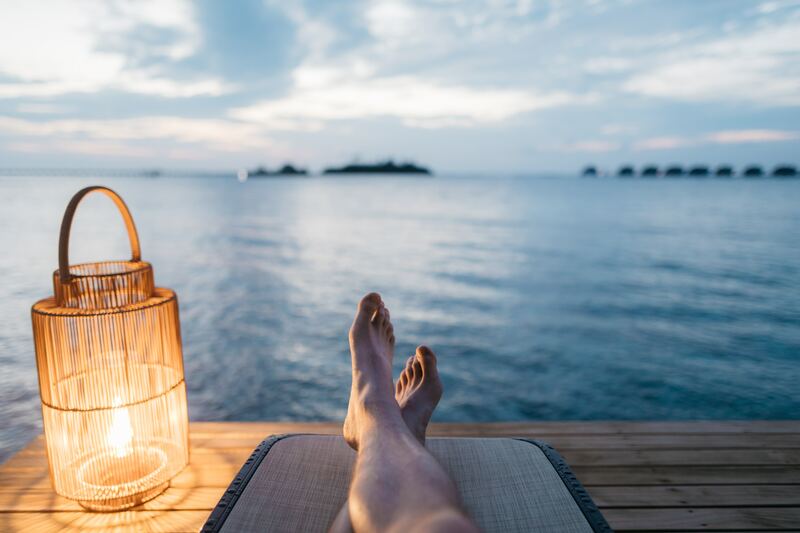 Wellness tourism — travel with an objective to enhance body and mind — now accounts for $639 billion in tourism globally, according to the Global Wellness Institute’s Global Wellness Tourism Economy report. Not only that, but it’s growing at a rate that’s more than double the growth of general tourism, the report says. Hotels, for example, are becoming wellness resorts with expanded spa, fitness, and dietary options. While they don’t usually encompass all of those, most do include a customized mix of spa days, moderate exercise, yoga, meditation, or clean eating. Best of all, when you match your destination’s amenities to your personal vision of restfulness, you’re likely to find yourself surrounded by people with the same peace-seeking goals. One thing a wellness-oriented vacation does not include is constant connectivity to technology. Silencing your phone, taking a break from social media, and resisting the urge to check your work email goes a long way toward achieving true relaxation. In fact, turning off social media is linked to more and higher-quality sleep, which is exactly what a healthy holiday is all about. If you don’t trust your own willpower, then you can choose a destination so remote that there’s no internet or cellphone service available at all. You can also leave behind your FOMO and any nagging guilt about what you’re not seeing or doing. Often, when you travel to a well-known place, you feel guilty resting when there are so many must-do attractions and activities. The result is a highly scheduled itinerary with the aim of maximizing your time and money spent. In contrast, healthy holidays are typically in more out-of-the-way locations, which helps you focus on relaxation. Activities and schedules are built around what you find rejuvinating, with significantly less pressure to fill every moment. As their popularity grows, so do the options for healthy holidays. Advance planning is key to finding the right location and activities (or lack of activities) to create your ideal restorative vacation. Setting goals isn’t about putting undue expectations on the trip. Rather, it’s about figuring out what you need most. Healthy holidays cater to all types of objectives, from yoga retreats and fitness camps to medical spas and sleep clinics. Thinking through your needs and goals will guide your vacation planning. Before you even start browsing destinations, define what relaxation means to you. It’s different for everyone, and it’s important to be honest with yourself. A fitness-focused trip full of hiking or cardio is the perfect way to unwind for some. Others prefer yoga retreats, luxury spa treatments, or dietary detoxes. Choose travel companions carefully to ensure it’s a good fit for all — or consider vacationing solo. 3. Plan ahead on logistics. Finding yourself in a location that makes you anxious is counterproductive. Pre-planning will help keep stress to a minimum once the vacation starts. Whether beach, mountains, or middle of nowhere, healthy holiday destinations can be remote. That means it’s important to understand seasonality and travel logistics upfront. And when it comes to accommodations, think small and adult-only. When hotels or retreats with more than 200 rooms are busy and catering to families, relaxation can be harder to find. Healthy holidays are different from standard vacations. The goal isn’t just about getting away from your daily routine. Done well, the vacation is an investment in mind and body that returns a better you back to your real life.